This is the most personalized program for the Affiliate. 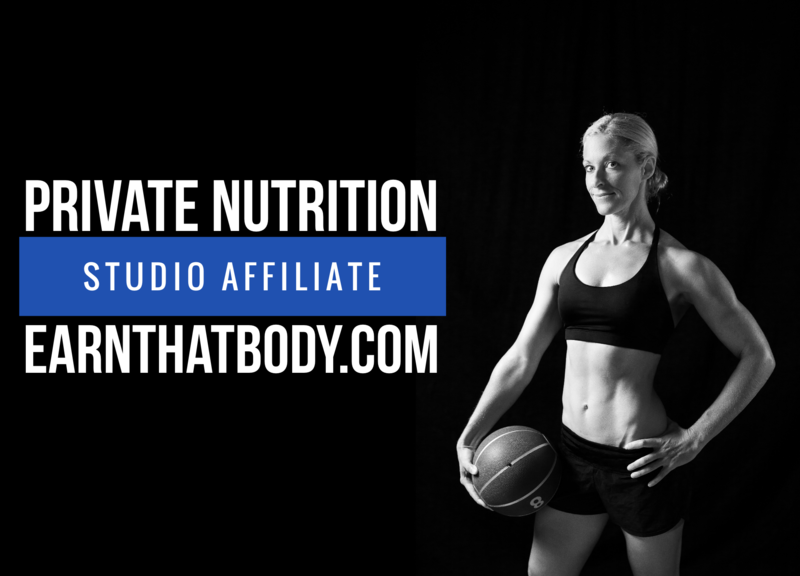 It includes the ETB Private Nutrition Program + a 4 Week Workout Program designed by YOU (with my recommendations on how to schedule the workouts.) If you own a studio or boot camp, you will include those workouts into the calendar for a complete 4 week schedule. If you don't have enough workouts to provide for the full 4 week schedule, we can give your client access to the Earn That Muscle Program for 4 Weeks. Weigh in on Mondays & Fridays (all weigh ins are sent to me directly). This allows me to see when we need to make caloric changes each week. Daily Food Log Feedback (Mon-Friday); I review the weekend logs based on the weigh in. Client will track all food with an online program (no fee). Personal Nutritional Guidance and caloric/nutrient tracking. Client will be assigned calorie allotment and nutrients (% carbs/protein/fat) and guidance for sodium/sugar/fiber. This is the ONLY Affiliate Program that you can sell on an individual basis. No GROUP needed.